“By having higher expectations and taking action in a team with a positive attitude, we can make a difference.” That’s Toshiko Igarashi’s motto. As principal at Tokyo’s Hirayama Elementary School (a STEM K-12 school and Microsoft Showcase School since 2015), Igarashi and her team are indeed making a difference. The proof? Their students, staff and school have been recognized both nationally and internationally as leaders in ICT education in Japan. Hirayama’s school vision is to help students be “positive, and strive their entire lives.” With open, flexible classroom layouts that encourage students to collaborate, Igarashi spearheads the philosophy of collaboration, self-motivation and creative attitudes in action. Igarashi’s leadership has not only been apparent at her school. 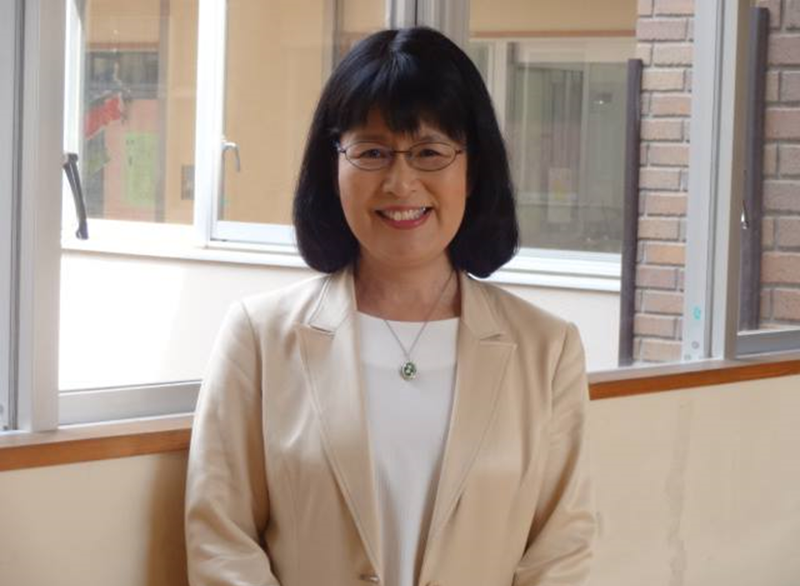 As chief of the Hino City School Principal Committee in education, a Ministry of Education and Ministry of Industry joint project, she is a member of the cabinet office committee for Internet for the younger generation and a member of Japan’s council for national teaching guidelines. Here’s today’s Daily Edventure with Toshiko Igarashi. Enjoy! An elementary school teacher inspired me to give a talk in front of many people. This teacher gave me the opportunity to challenge myself, and although I was very nervous and shy, my teacher helped me to finally break through the wall and believe in myself. I became confident enough to help others learn. What was a defining moment in your career when you felt proudest to be an educator? Ten years ago, I became the leader of the ICT Utilization Promotion Committee for the Hino City Board of Education, and deployed environments which enabled all teachers to have ICT education in their classrooms. In addition, I built a class management system for all teachers, which reduces working time for class management. I also built a website to drive exposure of our new school effort. This is now the foundation of our future schools and classes, creating new and student-centric learning. Whether it’s a day-to-day challenge or larger problem, what’s the biggest obstacle you or your country or region has had to overcome, or will have to overcome, to ensure a quality education for students? Today’s children are the creators of the future. Adults should not limit children by our own perspectives. In terms of education innovation, what are you most excited about for the future? What is your biggest hope for today’s students? The education revolution is creating opportunities for all children. Students will acquire great knowledge and skills, and it will enable them to extend capabilities for thinking, solving problems and communicating. Through these learning experiences, children will be able to collaborate globally, and lead their lives with success, thankfulness and confidence. Favorite childhood memory: I grew up with abundant nature in Hokkaido. I loved the sky and ice skating in winter season. Favorite book: Earth science books introducing earthquakes and volcanos. This entry was posted in Information, Leadership and Strategic Innovation, People and tagged Japan, toshiko igarashi. Bookmark the permalink.